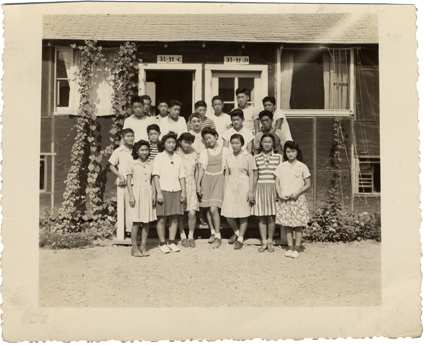 To mark the 75th anniversary of Executive Order 9066 the museum hosts a year-long exhibition Righting a Wrong: Japanese Americans and World War II and a series of related public programs. Day of Remembrance presents video clips by national competition awardees of the National Museum of Japanese American Memorial Foundation's Digital Storytelling Project. High school storytellers include Carolyn Hoover, Reed Leventis, Halle Sousa, and Connor Yu. The conversation following the videos is moderated by Dr. Karen Ishizuka, award-winning filmmaker, author, and former senior staff of the National Japanese American Museum, and includes Nisei Shigeru "Shig" Yabu, Sam Mihara, Takashi "Tak" Hoshizaki, and Mary Murakami. View Objects Out of Storage relating to the Japanese American experience and enjoy hands-on cart activities. Followed by book signings by authors Karen Ishizuka and Shig Yabu. The Day of Remembrance commemorates the date in 1942 that President Franklin D. Roosevelt signed Executive Order 9066, authorizing the incarceration of Japanese Americans during World War II.